Inspiring Bella Crafts: June 1 Digi hop. It's June 1 which means it's time for another digi hop from Whimsy. This digi hop will run from today June 1 until Friday June 8. So all you have to do for chances to win is to start at the top of the list of the DT members and leave a comment on each of their cards. There will be two random winners that will receive a digital image of their choice and one grand prize winner that will receive 5 digital images of their choice. Pretty easy right, hope you'll take a few minutes to leave each of us a comment. The order of the hop is below with links to each persons blog, if you get lost you can hop back over to the Whimsy blog to get straightened out. 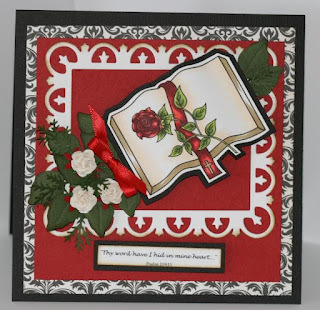 It is using a very elegant image from Whimsy Stamps by Stampart Design called Inspirational Cross. A closer look at the detail on my card. Supplies: Digital image from Whimsy Stamps by Stampart Design, Fleur de lis rectangle and Foliage spellbinder, Copic markers, Bazzill cardstock, Martha Stewart branch punch, ribbon. Gorgeous card, Charlene! I love the rich red, green and white combo! Beautiful image! Such a beautiful card! Love the design, colours and the image too. What a beautiful and elegant card!!! Love it. The colors are wonderful. This would make a wonderful sympathy card. Have a comforting bible inside would truly be acomfort. Wow girlie it is beautiful! I seen it in person and it is even more breath taking. Love it! Way to go friend! Your card is VERY Elegant! Just beautiful! 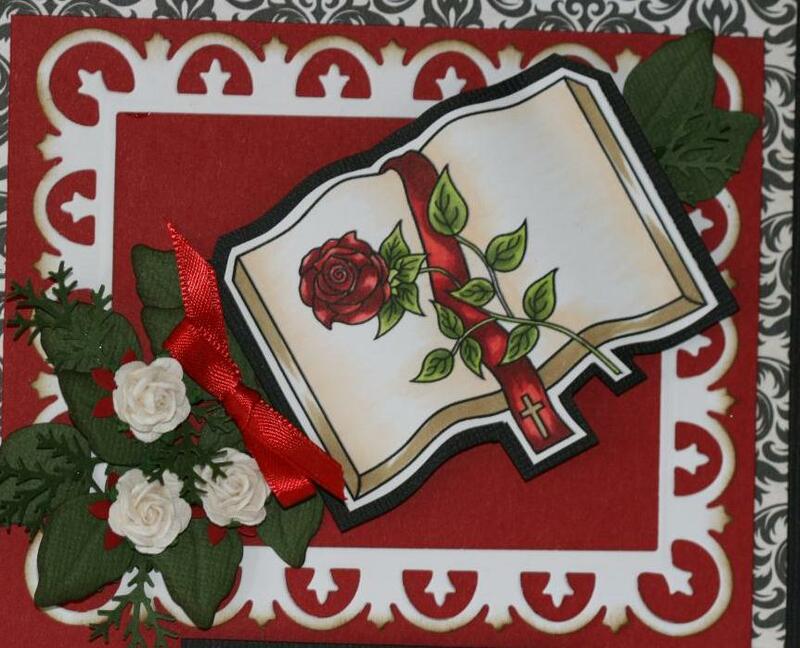 This is so pretty Charlene... love the layout and all the red too.